Rheumatoid Arthritis Risk Factors: What Causes Rheumatoid Arthritis? Rheumatoid Arthritis Risk Factors: What Causes Rheumatoid Arthritis? Rheumatoid arthritis (RA) is a relatively common autoimmune disorder and the most common type of autoimmune arthritis. According to a study in the journal Arthritis & Rheumatism, some 1.3 million U.S. adults have RA. If you have it, your immune system mistakenly treats healthy tissue around your joints as if it were a foreign invader. The result: inflammation, stiffness, swelling, and pain, plus other systemic symptoms like fever, fatigue, and brain fog. Although experts have a solid understanding of the disease process — and how to slow it down with proper treatment — what actually starts RA in motion is still unclear. 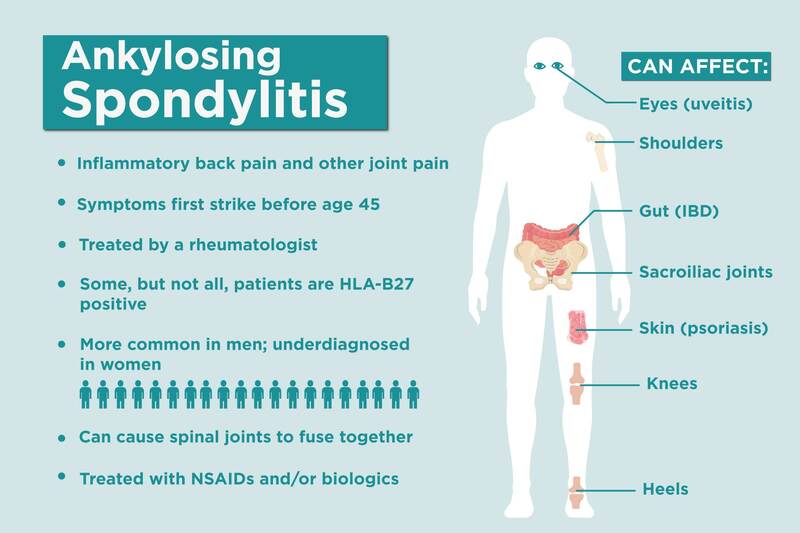 “Some progress has been made in the last decade, as we now know that there are genetic components and that ACPA antibodies play a major role,” says rheumatologist Vinicius Domingues, MD, CreakyJoints’ medical advisor. If you have these antibodies, it means your body has mounted an immune response to proteins made by your body. But what would make your immune system react that way in the first place? No one knows for sure, but that may very well be because there isn’t a single cause. Rather, most experts believe that a variety of factors conspire together to create the perfect storm that eventually triggers RA to develop. 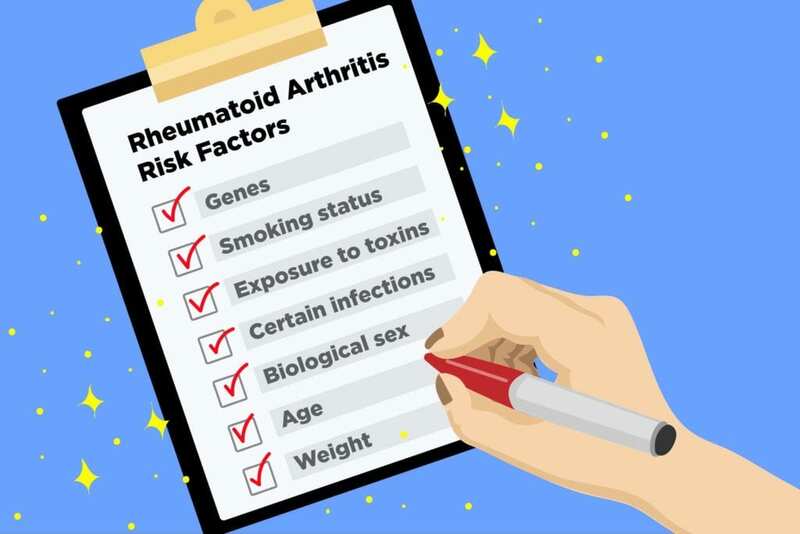 Here’s a look at some of the most important RA risk factors ones that might raise your odds of developing this condition. Even if you don’t carry a known gene mutation, simply having a family history of RA — or even a family history of another autoimmune illness — means that your rheumatoid arthritis risk is higher than average. But environmental and other factors likely tip the balance one way or the other. 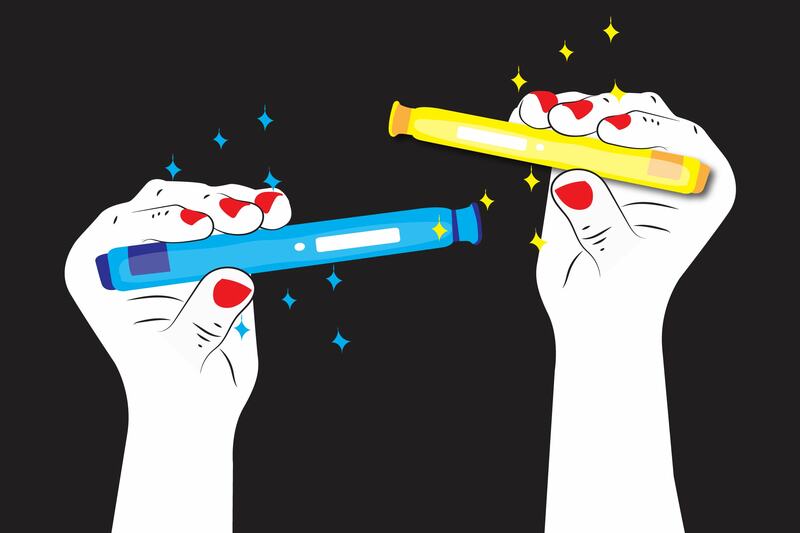 Smoking is lousy for just about every aspect of your health: Its chemicals damage your lungs, stress your heart and blood vessels, and put you at risk for different types of cancer. So perhaps it’s no surprise that smoking may increase your risk of RA, too. Smoking by itself probably doesn’t cause RA, but it seems to be an important risk factor in people who are genetically susceptible. In one study, published in the journal Arthritis & Rheumatology, scientists determined that people with HLA–DR shared epitope (SE) genes (which are associated with an increased risk for RA) somehow become triggered by smoking. That may set off immune system reactions that pave the way for RA to develop. If you work in construction or have been exposed to silica dust or asbestos for another reason you might also have an elevated risk of RA, research has found. One study of Swedish ironworkers found that people who were exposed to silica dust were more likely to develop RA, and the risk goes up along with one’s level of exposure. More research is needed, but there is some evidence to suggest that people who are exposed to the Epstein-Barr virus (which causes mono) or a retrovirus like human T-cell leukemia virus type 1 (HTLV-1) are more apt to get RA, especially if they already had a genetic predisposition to autoimmune disease. “Women are more prone to most autoimmune diseases,” including RA, says Dr. Domingues. Could the issue be hormonal fluctuations? Or does it have something to do with the fact that females have two X chromosomes (instead of one X and one Y, which is what men have)? “That’s the million-dollar question,” Dr. Domingues says. RA can crop up at any age, but most patients are diagnosed for the first time between age 40 and 60. No one knows exactly why, and it’s possible that biological and lifestyle factors may both play a role. Many folks in this age bracket are struggling to care for children and aging parents at the same time, a combination that can be stressful — and stress may raise the risk of autoimmune disease. Also worth noting: Middle-aged women are going through perimenopause and menopause, which is a time of major hormonal changes. Recent suggests that estrogen levels may have an important impact on inflammation and the development of autoimmune conditions. Research from the Mayo Clinic found that if your body mass index puts you in the overweight or obese category you’re more likely to develop RA than people who are at a healthy weight. Fat cells release inflammatory chemicals, which may contribute to inflammation throughout the entire body. Of course, many people are overweight and most don’t all have RA. But carrying around excess pounds, combined with one or more of the above-noted factors, might make you more susceptible.